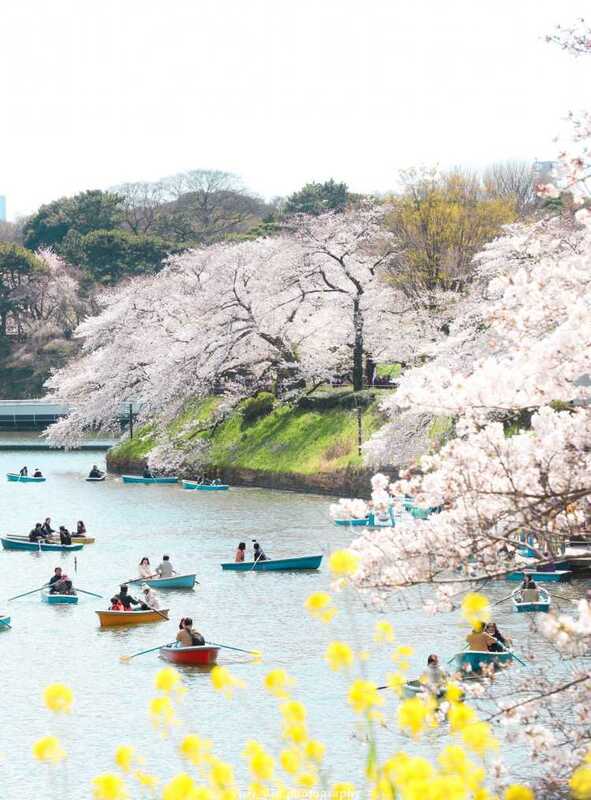 Chidorigafuchi Moat is a popular tourist spot in springtime, so it gets very crowded, but you can see cherry blossom leisurely while walking along the path. What's more, we can enjoy seeing flowers from the boat on the moat. The cherry blossoms are lighted up during its season.